In terms of literary innovation, the novel has fallen on tough times. It’s too bad because the term itself is supposed to mean “new.” It’s not just the novel’s fault, nor is it just the publishing industry’s changing times. Our culture wants “reality.” We want “spectacle.” Entertain us!–and it better be “real,” (the unreality of reality TV notwithstanding). 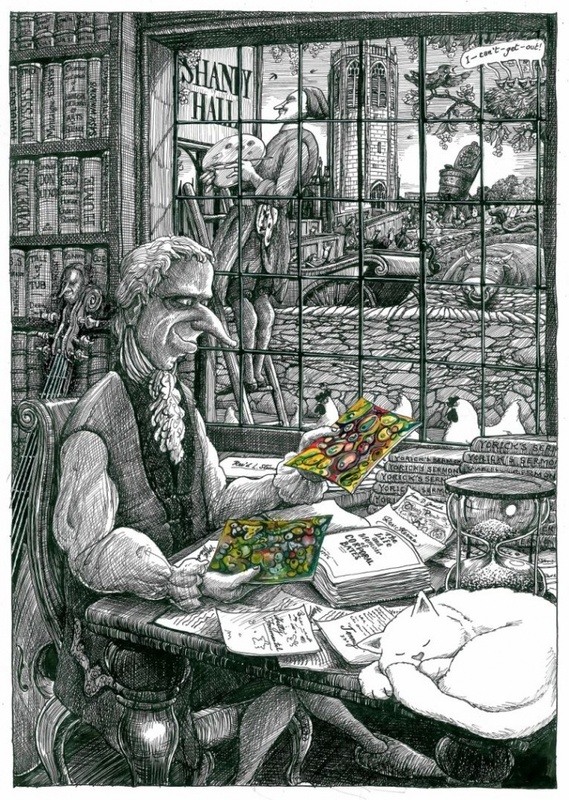 We want the documentary, the mocku/rocku-mentary, slivers of what’s “actually going on.” And that’s why The Life and Opinions of Tristram Shandy, Gentleman is a Godsend. Even as a landmark unto itself, it speaks to us today. If [the reader’s] opinion of Sterne’s learning and originality be lessened by the perusal, he must, at least, admire the dexterity and the good taste with which he has incorporated in his work so many passages, written with very different views by their respective authors. 19th century critics were hostile to Sterne for a variety of offensives, mostly by labeling him a “sentimentalist.” They almost unanimously accuse him of plagiarism. While it may be true that Sterne borrowed more copiously than was necessary for mere stylistic ends, his borrowing just makes his work that much more fascinating. I wonder how many scholars have chased down the sources of his allusions. You can’t stop the ecstasy of influence! 2. He satirizes conventional thinking. Conventional thinking never goes out of style, and neither do the great works of art that skewer its embedded assumptions and fears. Sterne’s modern-minded humor still connects. One of his targets were many of the “cultured” opinions contained in Burton’s The Anatomy of Melancholy that calls sermons the most respectable type of writing. Burton’s anthology of weighty quotations proving indisputable “facts” with weighty quotations were low-hanging fruit for Sterne’s intellect and direct personal experience as a clergyman. 3. His “learned wit” is anything but elitist. 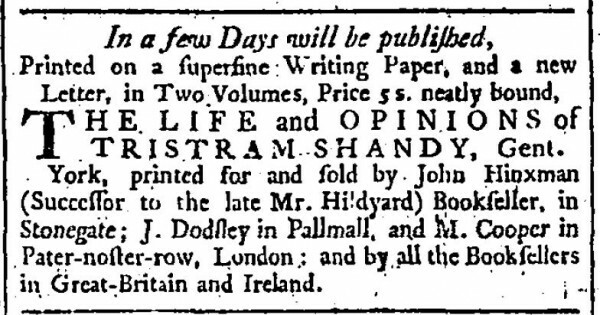 Tristram Shandy may have displayed a high level of education, but he’s also self-effacing. It captured the “masses,” if not always his peers. And, as narrator, Shandy constantly struggles to push his story forward–and in a discursive way–does. He’s funny, bawdy, bumbling, and we like him. Tragedy in Sterne’s personal life during the writing of Shandy took some of the sting out of the early drafts of his scathing satire. At the same time that London printer Robert Dodsley rejected his the first volume of Shandy, Sterne’s mother and uncle died. His wife was ill, depressed and possibly suicidal, and Sterne himself had a developing consumption that would take his life in about eight more years at the age of 54. What transpires is an urgent text, softened by trying circumstances, backed by a humanist education. We get a kind of tragi-comic-romantic, “real life,” picaresque, fairy tale that can’t find its way to a proper end–a narrative that Voltaire said transcends Rabelais. 4. He self-published and serialized Shandy. 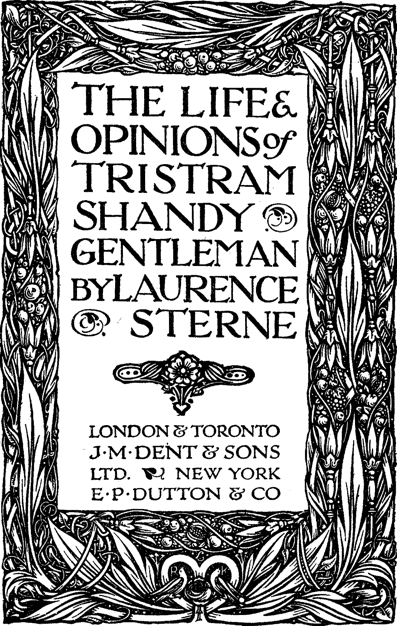 After Sterne was turned down by London printer, Robert Dodsley, he self-published Shandy, and his first run quickly sold out. He did the same with the second volume. Does this mean you should blow the dust off that old manuscript you’ve given up on and throw it into the mass clutter of today’s marketplace? Slow down. But it does make you wonder: What happened to the serial form for literature? It’s part of what made people mad for Dickens. Sterne seemed perfectly happy to release the book in nine volumes, about one a year for eight years. 5. Virtually limitless new directions in narrative experimentation. Part of the joke of Shandy is that it takes to Volume 3 for the narrator to get born. He almost doesn’t through a series of coital interruptions. How can you tell the story of your life if you can’t even begin at the beginning? The novel has a virtually limitless capacity for experimentation through narrative techniques alone. Just consider the mathematical calibrations of the Oulipians. Sterne would’ve made a fine one himself, but I digress. They say he did have a large nose but otherwise agreeable features.